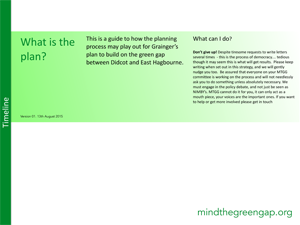 Supplementary planning objection from Mind the Green Gap. Submitted to SODC in March 2016. 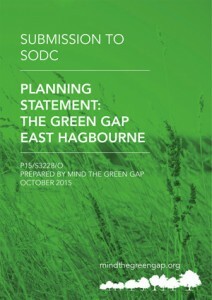 Supplementary planning objection from Mind the Green Gap. Submitted to SODC in January 2016. 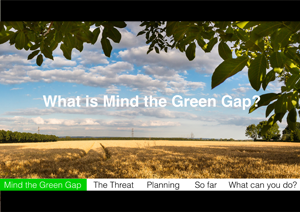 Mind the Green Gap's main Planning Statement. Submitted to SODC in October 2015. 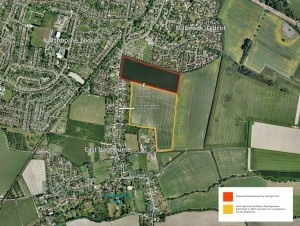 Map showing known potential developments between Didcot and East Hagbourne. Click on map to show full scale. 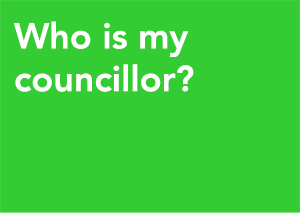 A list of South Oxfordshire District Council, OCC and Didcot Town Council members. 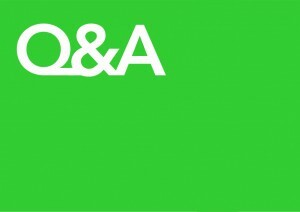 Questions and Answers about the Mind the Green Gap Campaign. 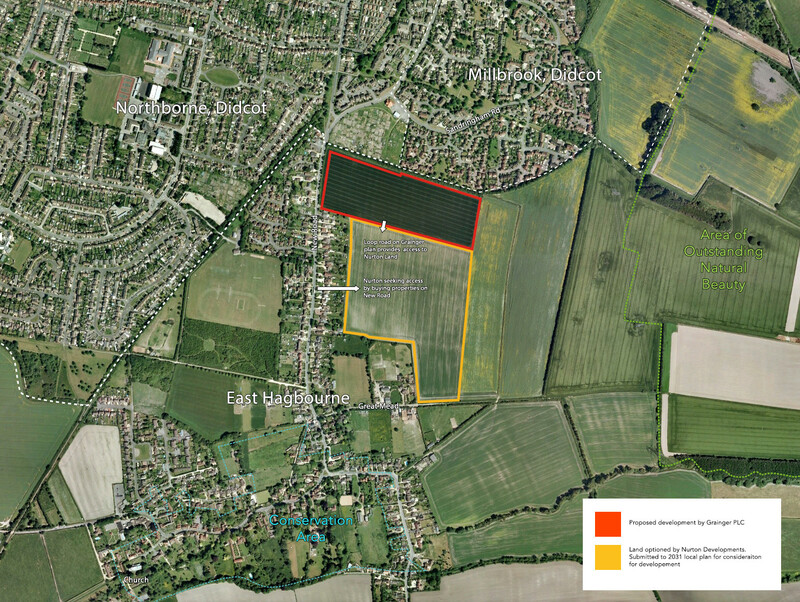 The Facebook site for the group objecting to Didcot Town Council's possible plans to sell allotments on New Road and elsewhere. 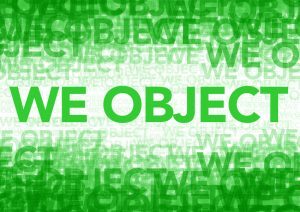 South Oxfordshire District Council’s adopted Core Strategy. This is the plan that the council are meant to use to judge if applications are suitable or not. This plan is superseded by the above, but some of its policies carry through and are still relevant. This guidance forms the basis for planning policy for local authorities. A copy of the exhibition Grainger’s consultants held in July 2015 in East Hagbourne Sports Pavilion. A good summary of how Grainger are expert in developing high-density intercity housing for rent. Campaign for the Protection of Rural England Oxfordshire's website.